This is a caricature that we did for the little animated film, “How to be Boss”. Today, the little boy in the background is the Supreme leader of the Democratic People’s republic of Korea. 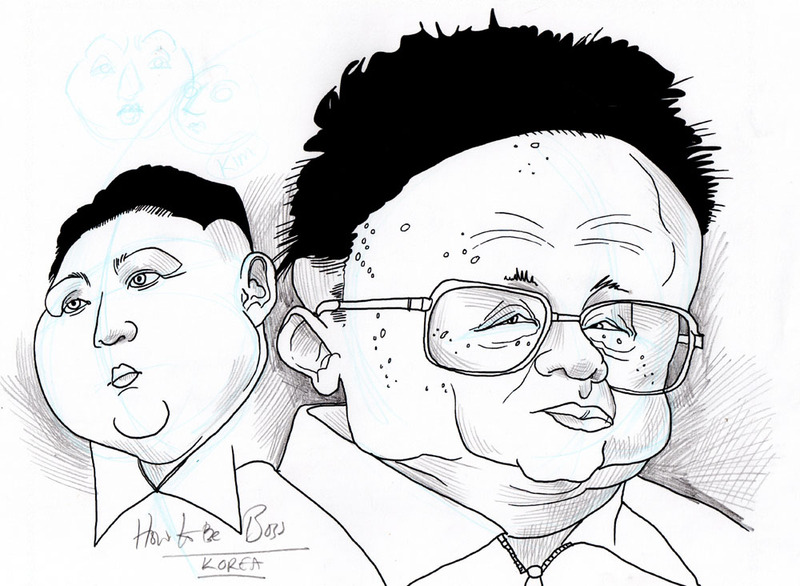 The son of Kim Jong-il and grandson of the founder of modern North Korea, Kim il-Sung. He had been designated premier by the Soviet controllers and called “great leader”. One of his first plans as leader was to invade South Korea which the Soviets anyway regarded as his territory. With Chinese acquiescence, Kim went on to seize Seoul capturing most of the peninsular except for the “Pusan Perimeter”. The US landed in Incheon and mounted a vigorous counter-offensive together with troops from South Korea. Within a month, Seoul had been retaken and then Kim was forced into a major retreat and refuge in China. This led to a Chinese offensive in aid of the North Koreans and the retaking of Seoul in January 1951. The UN counter-attacked in March retaking Seoul. The war lingered on until 1953 with the loss of over 1.2 million lives. Kim resented China’s increasing control of the war as indeed he resented anyone with a strong alliance to any number of people with Chinese connections. 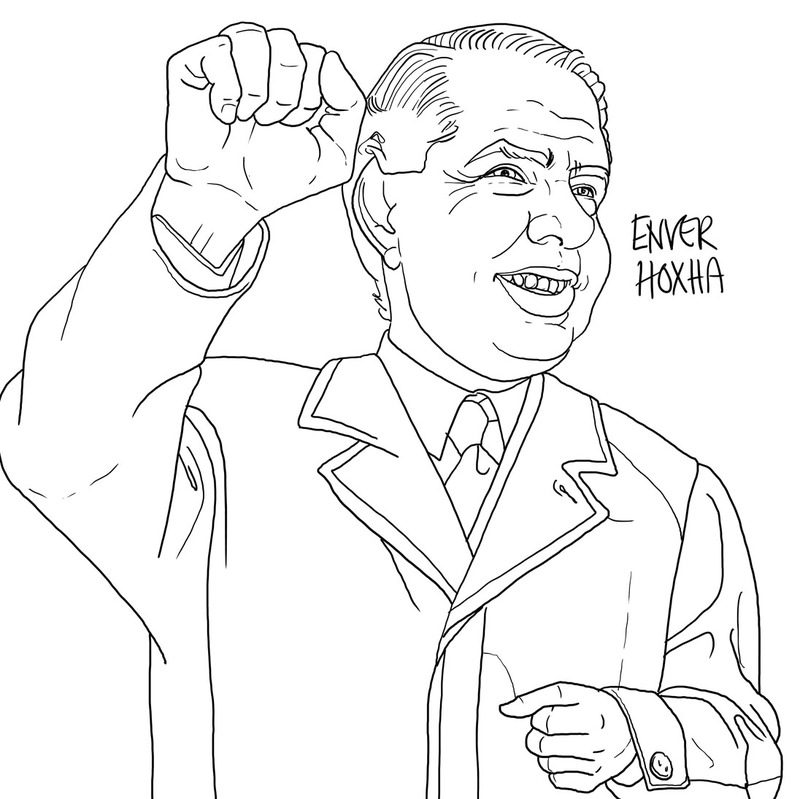 The most bizarre of these was Enver Hoxha, the leader of Albania who had openly defied Russia and set up his own Sino-Albanian pact. I remember seeing Hoxha’s pyramidal tomb in Tirana. We have been to Albania a few times for the Lear project. 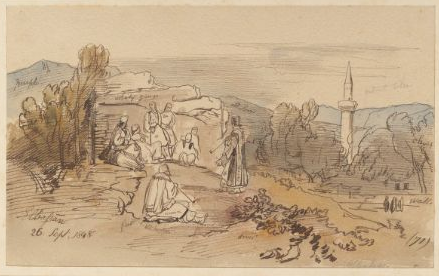 Edward Lear was there in 1848 at the end of his journey from Istanbul. As part of our Edward Lear film, we have drawn a view of the Albanian town of Elbassan.